This scene shows a typical “Utilities” for a home that is truly Off-Grid. The term “off the grid” or simply “OffGrid” traditionally refers to the electrical grid only. In rural areas, the cost of extending electric power does not make economic sense due to the distance and high cost involved. The return to the power company in the form of payments from homeowners is too small in relation to the high expense of installing power distribution lines. ​This situation is especially prevalent in areas where the lots are large and homes may be far apart. APS now provides financial help in the form of paying for around 750 feet of line extension from their distribution lines. OffGrid does not necessarily mean no cell phone service. In fact, there is usually no “land-line” phone service. In most of the areas I serve, Verizon is the most reliable cell phone carrier. OffGrid homes frequently have solar or wind power. 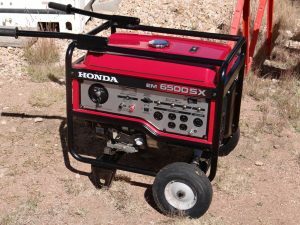 If you plan to be there part-time, a Motor-Generator could be your best choice for power. Being Off-Grid or OffGrid does not necessarily mean no connection to the outside world. 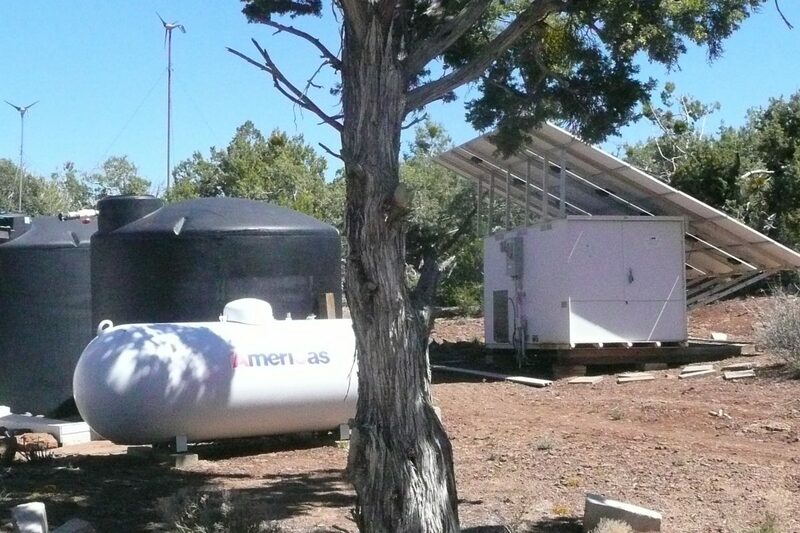 It also does not mean there is no water well, although many off-grid properties may rely on water hauled to the home. One can buy a LOT of water for what a well costs. Hauled water is avaiable as a service just like propane. In most areas, septic systems are required by law when there is no connection to a sewer system. identified in my Properties Page.